At Shaver CDJR, we believe in the importance of using only genuine OEM parts to keep your vehicle running as smooth as possible. Our parts department maintains a large catalog of replacement parts to make the process easy for you. We have parts for JEEP, RAM, Chrysler, Dodge and FIAT, including the 2019 Jeep Wrangler and 2019 RAM 1500. If you have any questions, we are here to help! 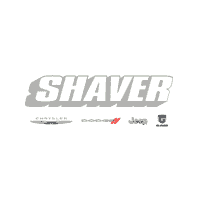 Give us a call or stop by our Shaver CDJR dealership today.